Fractional carbon dioxide ( CO2 ) laser resurfacing is one of the hottest cosmetic trends and is often considered the most advanced technology when it comes to non-surgical skin rejuvenation, resurfacing and tightening, especially for the face. WebMD calls the Fractional CO2 laser the Number One Antiaging Breakthrough of the Decade! Using advanced laser technology, this sophisticated treatment is a non-surgical facelift for patients with fair skin who desire correction of mild-to-moderate wrinkles on the face as well as tightening of the skin without the prolonged downtime and serious complications of surgery. 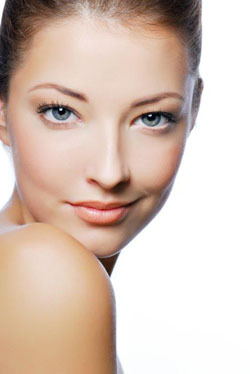 EQUINOX is the best strategy for transforming damaged and aged skin to a youthful healthy appearance. You are just one treatment away from bringing your healthy skin to light! EQUINOX offers optimal delivery of thermal energy to the epidermis and upper dermis with a pattern of laser light causing minute perforations in the epidermis while leaving the surrounding healthy skin intact. The small sections of untreated healthy skin that is left intact creates a platform to facilitate healing by synthesizing new collagen and elastin fibers. This results in less patient discomfort, speeds up recovery time, and this new growth of the body’s collagen will strengthen the skin’s underlying support structure and help the skin to retexture itself. With minimal downtime, the skin will regain youthful elasticity and appear rejuvenated, smoother, tighter, more vibrant and younger-looking within weeks. When each pulse of laser energy is administered, patients will feel a very warm prickling sensation. The treated area will look and feel like a sunburn. Topical anesthetics and cooling devices may be utilized to reduce any discomfort during and after the procedure. Flaking, redness and swelling can be experienced for a few days with healing generally taking place in 5 -7 days; however, this varies from patient to patient. Your skin will peel a lot the first week and a little more for several days afterward. Within 14 days the skin’s tone and texture will become astonishingly refined. Skin continues to steadily improve and smooth out over several months following laser treatment as collagen continues rebuilding. Dr. ChinQuee will examine your face and calibrate the CO2 laser to meet your desired goals. Once calibrated, the area will be numbed with topical creams and anesthetic blocks in order to minimize pain. Our office allocates about 1 ½ hours for the fractional CO2 laser resurfacing treatment. The first hour will consist of a brief review of the pre and post treatment expectations and application of the anesthetic blocks. Once the patient is numbed with topical lidocaine and subcutaneous lidocaine, the laser treatment is begun, which usually takes 30 minutes to perform for facial treatments, while other areas may vary. Hydration of the skin is essential. Eat right, drink lots of water and be diligent about applying the topical ointments prescribed by Dr. ChinQuee. Staying out of the sun is also very important. Sun exposure can slow the recovery process and possibly cause skin discoloration. Make an appointment with Dr. ChinQuee today to find out if an Equinox fractional Co2 treatment is right for your skin type.